Taipei, Feb. 26 (CNA) Taiwan Semiconductor Manufacturing Co. (TSMC), the world's largest contract chipmaker, said Monday that it is planning to build a research and development center in Hsinchu. The R&D center will be built in the Hsinchu Science Park spreading over almost 30 hectares, with an opening date sometime in 2021, the company said. It said construction of the project will start around the end of next year and the facility will be located close its headquarters, which also houses an R&D center. TSMC did not give any estimates on the cost of the project but according to a local media report, the investment will total some NT$100 billion (US$3.41 billion). The application for the establishment of the new R&D center was submitted to the Ministry of Science and Technology more than a year ago and was recently approved, TSMC said, adding that an environmental impact assessment is the next step. The company did not disclose what will be the main area of concentration at its new research center but there have speculations in the local semiconductor industry that the focus will be on the advanced 3 nanometer process. At present, TSMC's most advanced technology in commercial production is the 10 nanometer process but it is working on putting 7nm, 5nm and 3nm processes into production. Last year, the company said it will begin construction in 2020 of a 3nm foundry in Tainan with the aim of starting mass production in 2022. In January, TSMC broke ground on project to build a 5nm plant, also in Tainan. Meanwhile, the company said small scale shipments of chips made on its 7nm process will begin in the second quarter of the year and production is expected to increase sharply in the second half of the year. TSMC now hold more than a 50 percent share of the global contract chip production market and is expected to invest more than NT$1 trillion in high-end technology development over the next few years in a bid to maintain its market dominance, according to the Economic Daily News. 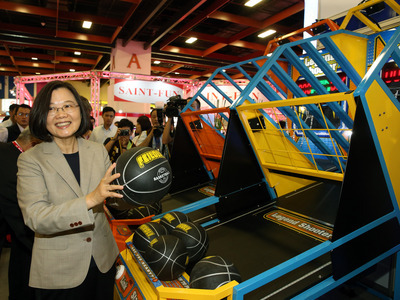 The Taiwanese company is a major supplier to international clients such as Apple Inc., Qualcomm Inc. and NVidia Corp.